Volkswagen CEO Martin Winterkorn: “You have to be successful in the U.S. if you want to be the No. 1 in the industry." WOLFSBURG -- Volkswagen CEO Martin Winterkorn was losing patience with the staff at VW's new U.S. factory in Chattanooga, Tennessee. It was January, and Winterkorn had just presented a U.S. version of the Passat sedan at the Detroit auto show. As the plant prepared for its official opening on May 24, workers were struggling with the Passat's paint finishes, while the chrome accents in the air vents, door openings, and gear shifts didn't all shine with the same brilliance. Winterkorn wanted to examine the chrome finishes, and the parts were hung on a wall for his inspection, Bloomberg Businessweek reports in its May 23 issue. Not right, said Winterkorn: He wanted them arrayed side by side in a Plexiglas case. "I have to look at the parts from above, just the way customers will in the car," explained the VW chief. Winterkorn and Volkswagen have a lot riding on the $1 billion factory, which will assemble up to 150,000 Passats a year. The U.S. Passat has more legroom, bigger control buttons, and more robust air conditioning than its European counterpart, and at around $20,000 it's about $8,000 cheaper, thanks to simplified designs, lower U.S. wages, and local content. The plant opening marks the start of a renewed push by the German carmaker to shed its also-ran status in the U.S., where it hasn't earned a profit since 2002, and eventually overtake Toyota Motor Corp. to become the world's biggest automaker. "You have to be successful in the U.S. if you want to be the No. 1 in the industry," Winterkorn said in an interview at VW headquarters in Wolfsburg, Germany. "Trends are set in America, not just for consumer behavior but also for communication technology, computers and software." The company's 2011 Super Bowl commercial for the U.S.-made Passat, featuring a child dressed as Star Wars character Darth Vader, has garnered more than 38 million hits on YouTube. It marked the start of a big marketing push for the Passat. A U.S. factory can capitalize on those trends faster. Making VW cars in the U.S. also shows commitment to the market. Toyota has 13 factories in the U.S.
Volkswagen dominates Europe, and it moved early into China and Latin America. It controls 11 percent of all car sales globally with brands including Audi, Skoda, Bentley, and Lamborghini. Porsche will be added to that list after VW completes its acquisition of the luxury sports-car maker. Yet VW's U.S. share is a meager 3 percent, which presents a different sort of challenge to the German carmaker. Trying to beat the competition "in a highly embattled market like the U.S. is somewhat unusual for VW," said Stefan Bratzel, director of the Center of Automotive Management at the University of Applied Sciences in Bergisch-Gladbach, Germany. VW closed its only U.S. assembly plant, in Westmoreland, Pennsylvania, in 1988, after the cost of importing parts from Europe to build the Golf hatchback made it uncompetitive. To avoid exchange-rate headaches, the Chattanooga plant will be mostly supplied by local companies and German transplants. Since then, VW has held on in the U.S. by appealing to drivers who like German technology and design but cannot afford a BMW or a Mercedes. Winterkorn, who has led VW since 2007, aims to increase U.S. sales to 1 million vehicles a year by 2018 including 200,000 from luxury division Audi, up from 360,000 now. The Passat, which goes on sale in the U.S. in September or October, is a major part of the plan. Eventually, the Chattanooga plant could be expanded to 500,000 vehicles to produce a beefier SUV than the Touareg SUV and cars for Audi, which lacks its own factory in the U.S., Winterkorn said. VW's strategy relies partly on cutting entry-level prices for the Jetta compact sedan and the Passat to compete with Japanese and Korean cars. Such bargain pricing can backfire, said Jeremy Anwyl, CEO of Edmunds.com, a Web site that tracks auto sales and marketing. "The formula that worked for Hyundai seems a little bit less characteristic for Volkswagen," he said. The carmaker won't become a heavy discounter and will maintain its premium image, Jonathan Browning, VW's U.S. chief said from the carmaker's American headquarters in Herndon, Virginia. The resurgence of Detroit makes Winterkorn's task tougher. General Motors Co., Ford Motor Co., and Fiat SpA-backed Chrysler are stepping up to Asian competition with models such as the Chevrolet Cruze, the Ford Fiesta and the Chrysler 200, all reinventions of the classic car, as opposed to gas-guzzling trucks and SUVs. VW offers fewer models in the U.S. than Toyota, with two SUVs to its Japanese competitor's seven SUVs and crossovers and two trucks. VW may bring the Amarok pickup to the U.S. to change that and may offer more competitively priced SUVs than the $23,720 Tiguan and $44,450 Touareg, Winterkorn said. The carmaker has also struggled with a reputation for poor quality in the U.S., ranking 31st out of 33 brands in the 2010 initial quality study by J.D. Power & Associates. Terry Jinn, 40, of Brooklyn, New York., chose a Kia Optima over the new Jetta after test-driving both. Although he liked the Jetta's looks, its performance left him cold. The Kia "seemed like a luxury car for the price, while the Jetta seemed like a cheap rental," said Jinn, who works in information technology. Winterkorn is responding to demands from U.S. dealers for more torque to appeal to Americans' fondness for racing away from traffic lights. He visits Tampa six to seven times a year to test-drive VW and rival models in Florida's heat and humidity, conditions hard to find in Germany. VW has also taken pains with its U.S. factory workers. New hires get up to three months of training, including a stint at a university-like campus. That compares with two weeks of training in Germany, where recruits are often well-grounded in the industry. U.S. suppliers are being put through their paces, too. "I've done Ford, Chrysler, GM, and the quality expectation is something we've never seen before," said Jeff Fuller of Chattanooga Seating Systems. 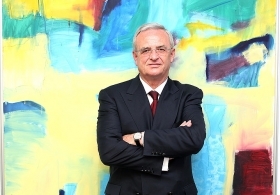 "Products are our business card for customers," said Winterkorn. "They've got to be perfect."